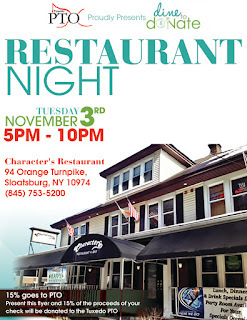 After you're done at the polls, please visit Characters Restaurant in Sloatsburg for the PTO's Dine and Donate Restaurant Night! From 5 PM - 10 PM. 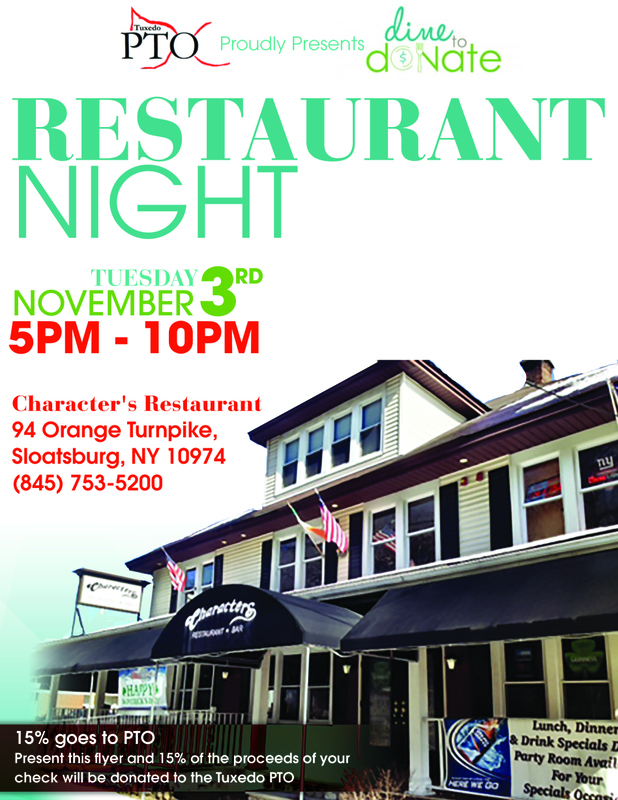 15% of your bill will be donated by the great people at Characters in support of the PTO.